Puppies are to Christmas what bunnies are to Easter: good gifts. 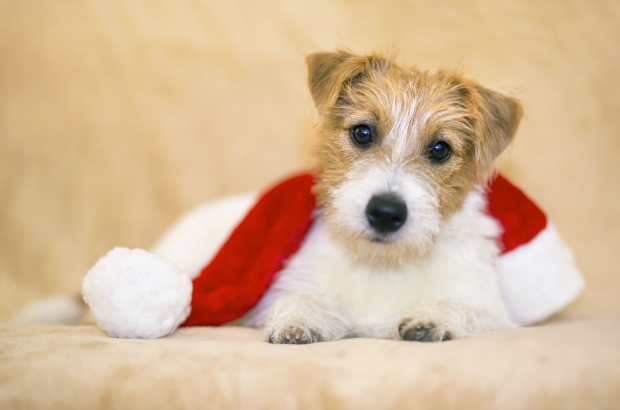 Whether you’re trying to be romantic or give your kids the ultimate surprise on Christmas morning, puppies are big business during the holidays. And that’s a problem, according to Belgian animal rights organisation Gaia, which says that illegal puppy mills are especially active this time of the year. Because people want a puppy right away, they fall prey to the ease and speed at which puppy mills operate. The organisation has launched a new campaign to inform potential pet buyers about puppy mills and how to tell if a breeder is reputable. Puppy mills are located in Eastern Europe, and the puppies are shipped across Europe illegally to sell. In a puppy mill, tens of thousands of female dogs are kept in cages and forced to give birth over and over. The puppies receive no vaccines and are taken away from the mothers much too early. This was this couple’s first warning: Real breeders usually have waiting lists. They don’t have dozens of puppies just waiting for you to arrive. “We never saw the mother,” the buyer continues, which is the second clue. Reputable breeders of course have the mother, who should be with the puppies when you arrive to see them. The local outlets tend to have many breeds of puppies and also kittens at the same place, a sure sign that it’s an illegal mill. Legitimate breeders only breed one or two kind of dogs. Legitimate breeders also often ask a lot of questions about the home life of the buyers before selling them a dog. Buyers don’t necessarily go home with a puppy the same day. Illegal outlets, on the other hand, push an animal into buyers’ arms and immediately produce a passport and name the price. The passports are supposed to be proof of vaccination and age of the puppy, but they are forged. They are also usually in a foreign language, not in French or Dutch. The internet is full of these outlets, going by names like Pups&zo, Happy Doggy and Puppy House. Buyers speak of being pressured to provide a good review of the business, even before leaving the property. Gaia suggests to ‘adopt don’t shop’ as animal shelters are full of dogs and cats needing good homes. If you really want a puppy and can’t find one that way, Gaia’s campaign has several suggestions for how to recognise good breeders.